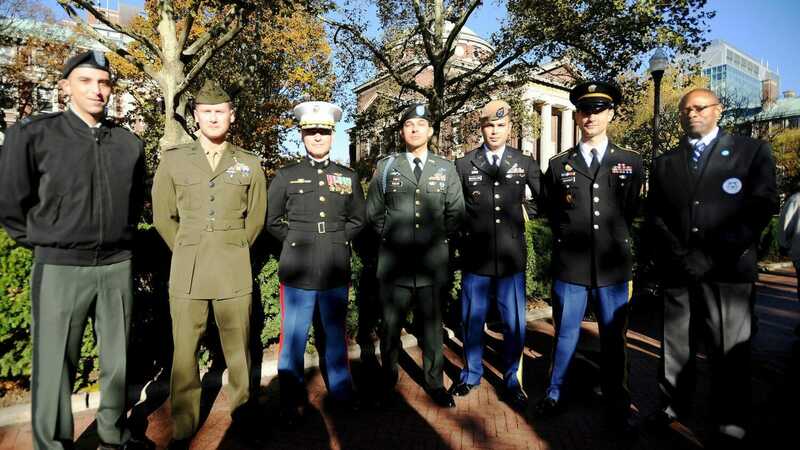 Veterans may be invisible on most campuses, but they are present. A recent study by the American Council on Education found that veterans account for 4% of the undergraduate population nationwide. But the transition from service to campus life is not always easy, making university studies for student veterans a challenging endeavour. On average, veterans delay starting college for five years after high school, and 25 rather than 18 is the average age at which veterans start their degrees. But veterans are not only older than most freshmen when they arrive on campus. Most veterans also arrive having experienced and witnessed events that the majority of their classmates can’t even imagine. Helping veterans transition to campus life is a growing concern on many campuses, and Columbia University is no exception. Columbia has been welcoming veterans for decades, but in recent years, the university has started to pour additional resources into its veteran transition program. A new MOOC targeting veterans, which will launch on September 6, is part of the university’s broader effort to welcome veterans and ensure their success. Like many universities with a high veteran population, Columbia University has established a center for veterans with a mandate to ease their transition from active service to campus life. Recently, Columbia’s Center for Veteran Transition and Integration designed a massive open online course (MOOC) version of its already existent University Studies course. In a nutshell, University Studies is a University 101-style course. It’s designed to introduce students to campus life, clarify what is expected of them as students, and outline where they can find the people and resources needed to succeed. The course is not new. It has been successfully offered on campus at Columbia for the past five years by a team of experienced academic advisers. What’s new is the course’s online format. As explained in a press release issued by Columbia University earlier this week, University Studies for Student Veterans focuses on a range of topics but above all else, the course “offers strategies for academic success for service members and veterans navigating the transition from military service to the college classroom.” Some specific features of the course include activities that introduce students to foundational academic and study skills, strategies for effective reading, writing, test preparation, and time management, and proven tips for students taking STEM and other technical course. While not all veterans have suffered an injury that results in a long-term disability nor experienced an event that leads to post-traumatic stress disorder, many veterans have one or both of these conditions. This means that they often require additional support and that each day may present new challenges. On this basis, MOOCs also offer a specific advantage. Most notably, the self-paced structure of MOOCs enables students to choose their own pathway through the materials and to do so on their own time. Since the course is designed to provide students with a toolkit of resources that will help them over the course of their degrees, the online format is also a way to ensure they always have these vital resources on hand. University Studies for Student Veterans is a free course that is open to all; it is offered via the EdX platform.